The average wedding cost in urban China hits a record of 560,000 yuan (US$72,572), and young couples are heavily depending on parents' financial aids to pave the way for their marriages, reported the Jiefang Daily Friday. The 560,000 yuan is based on some 60,000 valid questionnaires of a recent survey conducted by the Committee of China Wedding Expo. According the survey, the wedding related expense, honeymoon, new house and car are prime contributors to the soaring marriage cost in the urban area. The wedding related cost, including wedding picture, dress, ceremony, feast, jewelry is 139,557 yuan in average. 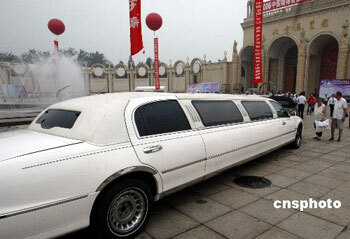 The average costs of honeymoon and a new car are 9,227 yuan and 94,800 yuan respectively. Housing expense fuels the marriage cost by adding 308,600 yuan in average. According to the survey, 81.6 per cent of young couples' marriages are funded by their parents. No matter parents finance some of it, half of it or all of it. "Parents are the young couple's first-choice sponsor of their luxurious wedding," said Liao Junguo, the director of the data center of China Wedding Expo. "I am willing to give my boy a hand as it is a tradition of Chinese parents to take care of their children's wedding," a senior surnamed Zhang said. The skyrocketing marriage cost in urban area put many engaged couples in an awkward position when it comes to the question of getting married. Love and marriage go together like a horse and carriage, but the carriage nowadays is loaded with money.